Their mass and scope now tied to warming air. A warning of the loss the floods will bring. 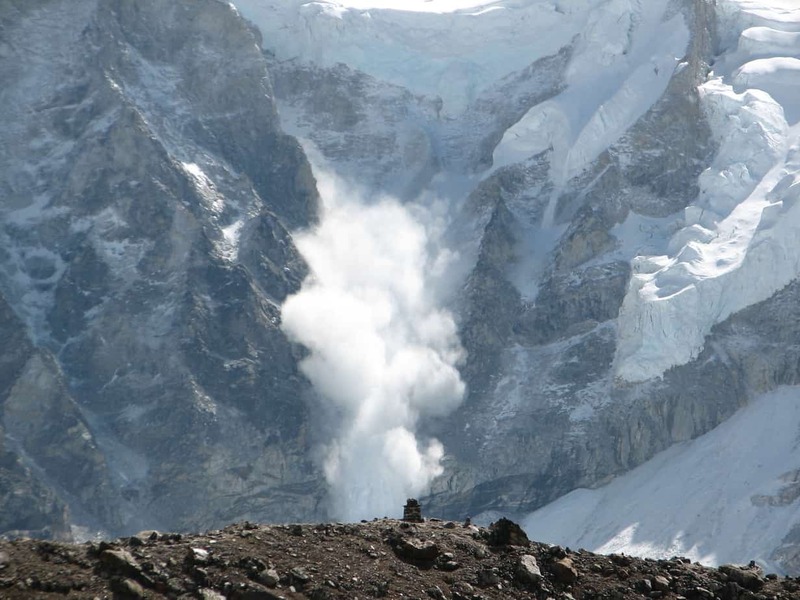 An avalanche on Mount Everest (Photo Credit: Ilan Adler). This is a heroic Rispetto, inspired by recent research which has shown how global warming increases the risks of avalanches. Avalanches are rapid movements of large masses of snow, which commonly occur in mountainous regions and that can be triggered by a number of different conditions. The size and extent of avalanches varies widely, with the most damaging occurring when massive slabs of snow break loose from a mountainside; these slabs can reach speeds of 80 miles-per-hour and are almost always lethal to any humans or animals caught in them. Given that avalanches involve snow, there might be an assumption that global warming means fewer avalanches. However, new research has shown that warming air temperatures actually increase the risk of avalanches. By analysing the growth rings and wounds left on damaged trees by these events, researchers have been able to date a large number of avalanches in the Western Himalayas, all the way back to 1855. This historical analysis has revealed that over time avalanches are now bigger, travel greater distances, and are triggered earlier in the year. Rising air temperatures have caused permafrost to melt, which reduces its effect as an avalanche stabiliser. Snow is now also falling earlier in the season, and since the snow is wet, avalanches are descending slowly but over greater distances than in the past. These findings have major implications for disaster risk management in regions where human occupants might be at risk.